Hayao Miyazaki’s own creation, the legendary Nausicaä manga is now all in one! A deluxe compilation of the classic manga series written and illustrated by Academy Award® winner Hayao Miyazaki. 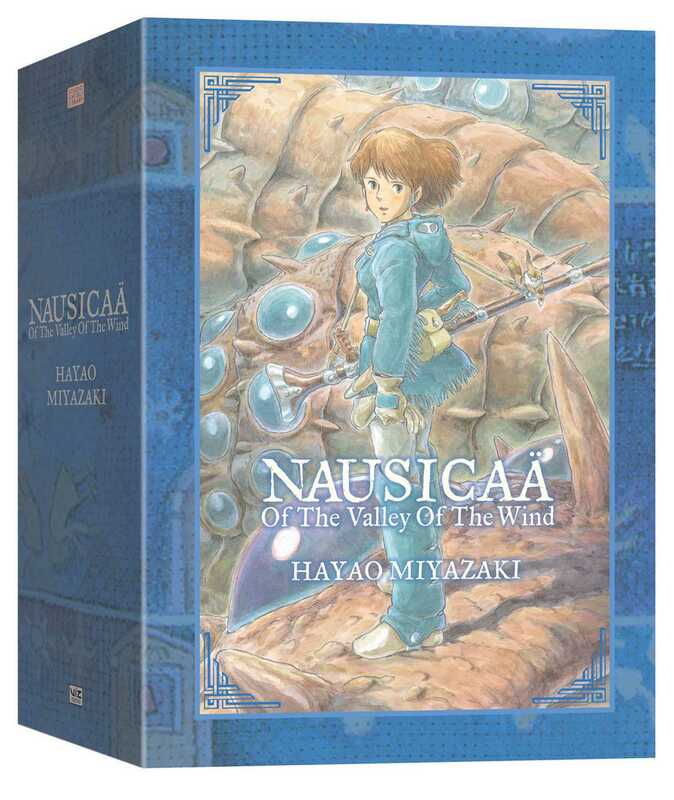 Nausicaä of the Valley of the Wind is an epic fantasy tale written and illustrated by legendary Studio Ghibli director Hayao Miyazaki, creator of My Neighbor Totoro, Spirited Away and Howl’s Moving Castle. A modern masterpiece, the entire series is now available in this deluxe box set containing two hardcover volumes with interior color pages and a bonus poster.